Quite a few people looking for a hybrid car or even an electric wonder about the 2019 Ford Fusion Hybrid versus the 2019 Ford Fusion Energi. Both are great ways to reduce use of gasoline, while at the same time having a practical vehicle for traveling both in town and out on the open road. That said, any Ford dealer in Southern California will be quick to point out there are some big differences between these two models. Once you understand what they are, deciding about which to buy becomes a much easier process. One of the biggest attractions to either of these Ford cars is the powertrain. After all, everyone is looking for a way to save more money at the fuel pump and contribute less to air pollution. There are multiple ways to realize such a goal, as clearly evidenced with these two models. A big similarity is that both the Ford Fusion Hybrid and Ford Fusion Energi use a 2.0-liter inline four-cylinder Atkinson-cycle gasoline engine. By itself, the engine is quite efficient. However, it works with an 88 kW electric motor to further decrease fuel consumption. In both cars, paired to the engine and electric motor is an electronically controlled continuously variable transmission (eCVT). It leads to a smooth driving dynamic, so you and your passengers stay comfortable in all kinds of situations. As you’ve probably realized by now, both the Ford Fusion Hybrid and Ford Fusion Energi use a battery to keep the electric motor running. While that’s similar, the exact battery is different between the two. 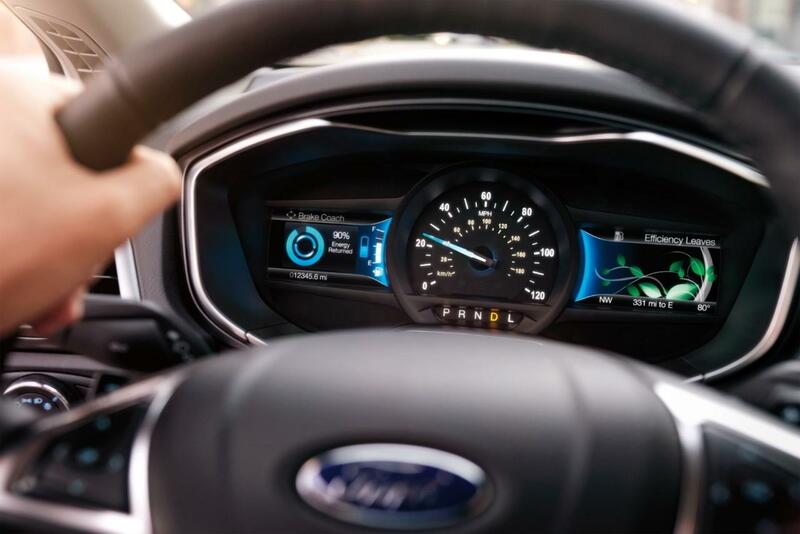 In the Ford Fusion Hybrid, there’s a 1.4 kWh lithium-ion battery supplying the motor with electricity. For the Ford Fusion Energi there’s a much more powerful 7.6 kWh lithium-ion battery. What this means is you get more electric assistance with the Ford Fusion Energi. In fact, there’s the option of driving using only the electric motor, so you don’t consume any gasoline. The EPA estimates the car can travel about 25 miles using only electricity, which is an improvement of almost 20 percent versus the previous version of the vehicle. Anyone who’s dealt with batteries knows you either have to swap them out or charge them, otherwise they stop working. With these two cars you recharge the battery, but how that happens is what makes them different. For the Ford Fusion Hybrid, you recharge the battery partly through braking and partly using the gasoline engine. That means you put gas in the tank and just drive. 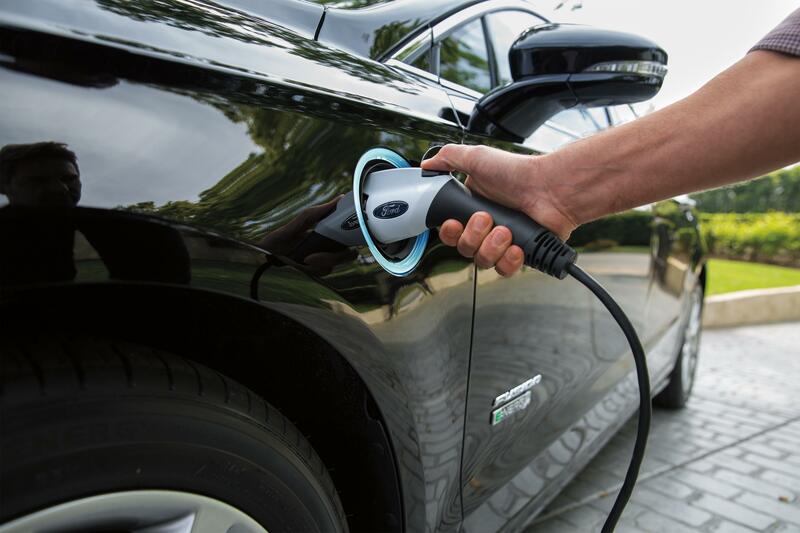 With the Ford Fusion Energi, you can actually plug the car in. It comes with a 120-volt convenience charge cord, which can recharge the battery in about seven hours. Now that you have a better idea of what the differences are between the 2019 Ford Fusion Hybrid and Ford Fusion Energi, it’s time to decide. Ultimately, you need to take one or both vehicles for a test drive. Contact your local Southern California Ford Dealers to set up an appointment.